WARSAW — For her first run at public office, Wayne Township Trustee Jeanie Stackhouse must have done something right. She defeated a fellow Republican candidate in the 2018 primary and prevailed in the general election by a decisive margin, capturing 73 percent of the vote. 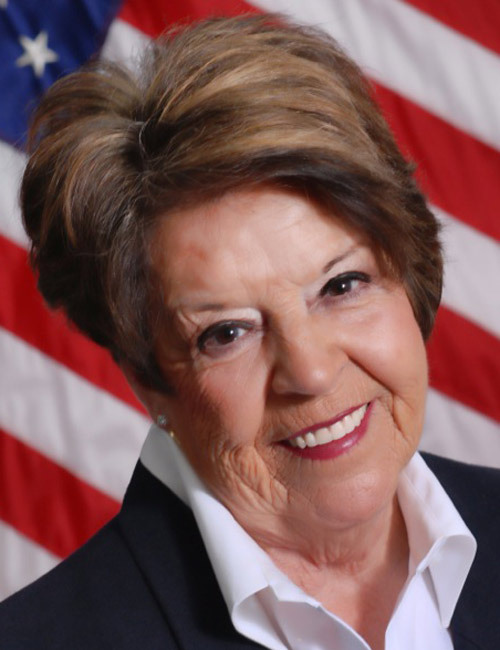 Though a stranger to campaigning for office, Stackhouse is well familiar with the job she ran for, having worked as an investigative clerk for eight years under her predecessor, Sheila Burner, who passed away Dec. 22. “I knew what the job entailed and we can do and cannot do,” said Stackhouse, who regularly attended township association conferences during her tenure as clerk. Though “most of the time the people who use our services pretty much know what we can do,” Stackhouse said some restrictions on assistance are not well known to the public. Applicants “have to live in the household the bill is for,” she said. “We have some people moving and they can’t get utilities turned on because of a past bill at their prior residence.” The trustee’s office is prohibited from paying that prior bill. “We can only go up to $150 a month for bills like utilities and rent,” but trustee offices are required by state law to always have assistance money available. If necessary, “we have to take it from another fund,” Stackhouse said. Everyone who seeks trustee assistance must fill out an application and undergo an interview. After that process, “we make a decision on a case-by-case basis and issue a food voucher” for a specified amount, she said. “We can first refer them to the Combined Community Services food pantry. They can only get assistance once a week. “There are a lot of places where people can get food,” she said, citing Our Father’s House, Combined Community Services and the Salvation Army. Stackhouse also provides temporary housing at a local motel that takes vouchers when the Fellowship Missions homeless shelter in Warsaw is full. Both the trustee’s office and motel run criminal background checks. “We tell them if something is amiss,” she said. Stackhouse would like to further address the homeless situation in the township, which serves 28,000 residents. She said the problem has increased in the last few years and encompasses all ages. “Fellowship Missions will be making some changes, so we’ll see what they’re doing” and continue working with them. The three-person office includes Linda Osborn, investigative clerk, and Heather Batalis, administrative clerk. Stackhouse also works one or two days a week at Martin’s in Warsaw. She has two daughters and a son, six grandchildren and three great-grandchildren. The Wayne Township Trustee’s office is located at 553 S. Buffalo St., Warsaw. For more information, call (574) 269-2079.